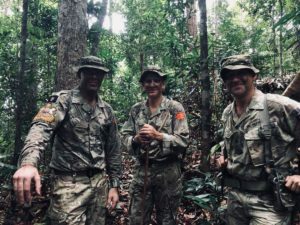 Over the period 17th to 20th November, Lieutenant General Nick Pope CBE, Colonel Commandant Brigade of Gurkhas, along with Colonel James Robinson, Colonel Brigade of Gurkhas, visited Singapore and Brunei. On 17th November in Singapore he visited the British High Commissioner at his Residence and then moved to the High Commission to receive briefs on the British Army’s involvement in the Pacific region. 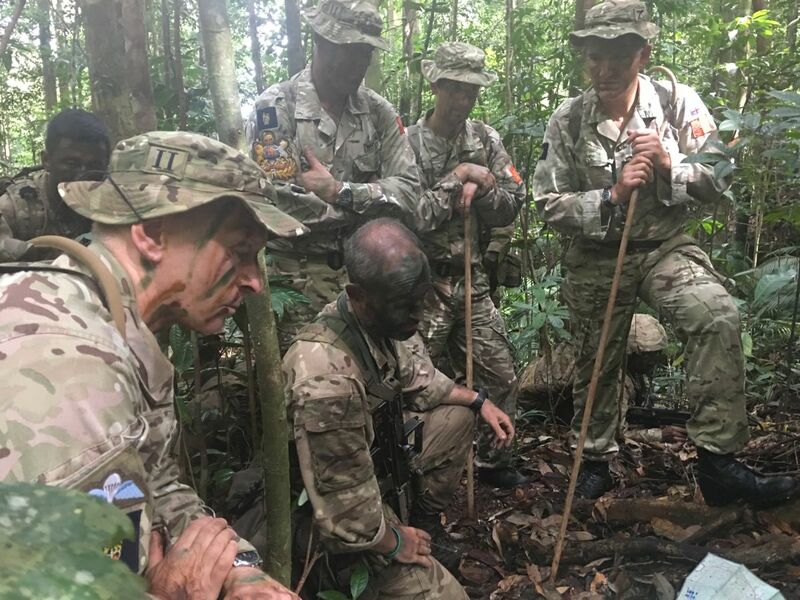 The afternoon was spent with the Gurkha Contingent Singapore Police where he received a briefing on roles, structures and conditions of service for the Gurkhas in the Gurkha Contingent (GC). His visit included seeing a number of demonstrations highlighting the GC’s developing capability. A tour of the camp was followed by a wash-up in the Mess with the GC’s officers. On Saturday 18th November he flew to Brunei and stayed with the British High Commissioner who held a dinner attended by Royal Brunei Armed Forces officers and British Army staff. On Sunday morning he flew to the Labi Jungle where he was able to see the final attack of the 2 Royal Gurkha Rifles Junior Leaders’ Cadre. Back at Tuker Lines in Seria he received a Guard of Honour and was then given a comprehensive brief on British Forces Brunei. 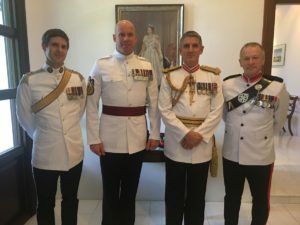 After basketball with the HQ staff and Brunei Signal Troop he attended a curry supper in the Garrison Officers’ Mess and then gave an update to the Garrison officers on issues that Army HQ in the UK is currently dealing with. On Monday 20th November he visited the UK Loan Service personnel to present some Long Service and Good Conduct (LS&GC) medals before moving to the Bruneian Junior Staff Course where he gave a talk on leadership. After lunch he, with Colonel BG and the High Commissioner to Brunei, His Excellency Richard Lindsay, had an audience with His Majesty The Sultan followed by an office call with the Commander of the Royal Bruneian Armed Forces before flying back to UK.